We engage in stewardship as a hands-on way to give back to our amazing outdoor playgrounds. Loving our wild places means doing our part to preserve them. Each year, we put hundreds of hands to work repairing trails, maintaining access points, restoring shorelines, and more. Our members' efforts are fueled by their passion for the outdoor experience. This wilderness ethic has been integral to our club's mission since our beginnings in 1906. 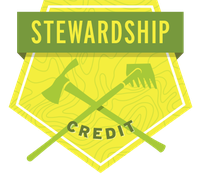 Many of our most popular courses include a stewardship day as part of their curriculum. In addition, our volunteers lead restoration activities throughout the year. Our hiking and climbing trails in Washington take a beating each year — both from us and from the weather. 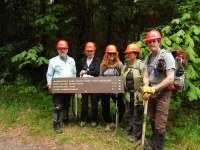 We partner with land managers and other organizations to improve trails, so they can continue to be enjoyed. 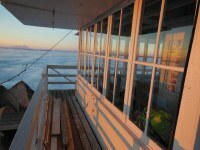 The Mountaineers Everett Branch Lookout and Trail Maintenance Crew provides critical volunteer maintenance to the historic Pilchuck, Three Fingers, and Heybrook fire lookouts in the Mount Baker-Snoqualmie National Forest. They keep these structures open to the visiting public for thousands of annual visitors to see, touch, and experience a piece of history that might otherwise be lost. Our service-learning program calls for students to undertake a stewardship day to graduate from many of our courses. Each year, nearly 500 students volunteer, contributing over 3,600 hours of labor on state and federal lands in Washington. 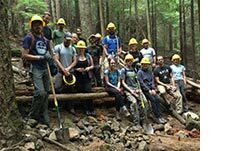 Students participate in restoration activities, trail work, or historic lookout maintenance with The Mountaineers or with community partners.